ATLANTA, May 3, 2017 – John Isner, a fan favorite and the winningest player in the history of the BB&T Atlanta Open, will return to Atlanta for the 2017 BB&T Atlanta Open, to be held July 22-30, 2017 at Atlantic Station. Isner, a former UGA tennis star and one of the top American male tennis players, will join top ATP World Tour stars to kick off the 2017 U.S. Open Series. Joining Isner is defending champion, Nick Kyrgios, along with the United States No. 1, Jack Sock, who will lead a strong summer field to kickoff the summer hardcourt and U.S. Open Series. Also, Grand Slam champion, Venus Williams, and Canada's top ranked player and Sports Illustrated Swimsuit Model, Genie Bouchard will be featured in a special Sunday, July 23, women's exhibition evening session. The most decorated doubles team of all-time, the Bryan Brothers, are also returning to Atlanta for the 2017 event. 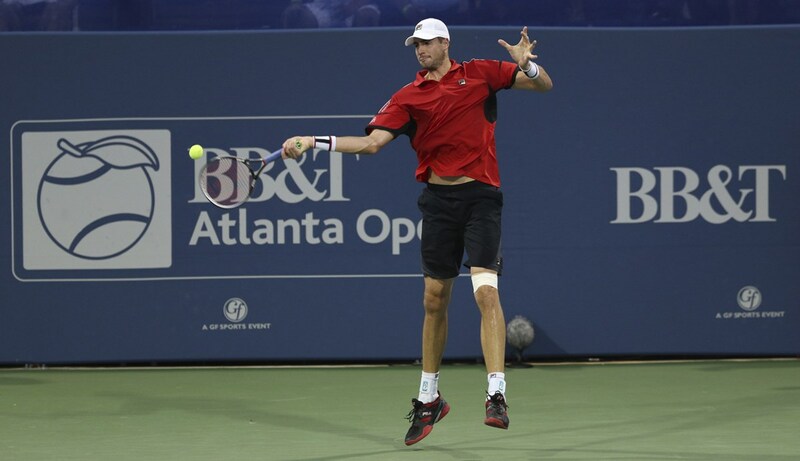 Since the BB&T Atlanta Open moved to Atlantic Station in 2012, Isner has had tremendous success playing in Midtown Atlanta. He has posted three singles victories at the BB&T Atlanta Open over Marcos Baghdatis in 2015, Dudi Sela in 2014, and Kevin Anderson in 2013. BB&T Atlanta Open Tournament Director, Eddie Gonzalez, was understandably excited to announce the return of the 6’10” big serving Isner. "We welcome John back in the mix for the 2017 BB&T Atlanta Open. He has supported the tournament year after year, and I know our fans enjoy seeing John." Isner finished 2016 as the No. 1 player from the U.S. for the 5th straight season and in Top 20 for seven consecutive years. He has won 10 career ATP World Tour titles and has earned 30 wins in seven straight seasons (2010-16). Isner says that he plays his best tennis on American hardcourts, and his summer will once again begin in July, in Atlanta. “I'm looking forward to getting back on the court at Atlantic Station and give it my all for a fourth singles title." To purchase tickets to see Isner at Atlantic Station, click here!